A story about the behind-the-scenes life of an idol group called “A.N.JELL”, their difficulties, love and career. injury and his twin sister, Mi Nyu, steps in to disguise as him. 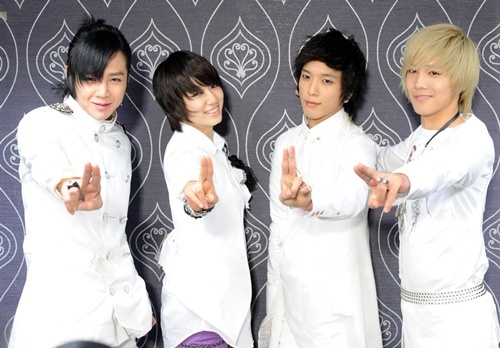 accident after being selected as 1 of the four members of “A.N.JELL”. popularity is on top position in Korea. Moreover, He has many allergies, that means, if somebody want, he could be put Tae Kyung in big trouble by using only one food. Tae Kyung has great stubbornness. He think himself a great person. it makes us too nervous that we feel pity for his poor soul. Go Mi Nam(male) and Go Mi Nyu (female) are twin, brother and sister, they grew up together in orphanage attached to a nunnery. memeber of idol group, using her brother’s name, Go Mi Nam. old man who already spent his life. entertain business rather than become an artist. His smile is very pretty and lovely, so, even he say same stupid thing, his smile covers everything. the existence of Mi Nam who is a girl as well as a boy.